This Order establishes the order in which the first trial pool cases will tried. A Case Management Conference is scheduled for August 31, 2017 at 1:30 p.m. (CT). Additionally, because the previously scheduled September case management conference conflicts with Yom Kippur, the conference is rescheduled for September 28, 2017 at 9:30 a.m. (CT). Order scheducling a settlement conference with the Settlement Master, Cathy Yanni, following the general causation hearing on August 3, 2017 at 9:30 a.m. (CDT). Order scheduling pre-conference meeting for May 25, 2017 at 8:30 a.m. (EDT). Order regarding the scope of the deposition of Dr. Mahyar Etminan. 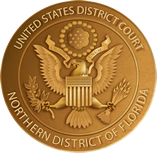 Order regarding court reporters who travel outside their licensing jurisdiction.